This new paper by Rishabh Kumar studies the metamorphoses of aggregate Indian wealth over fifteen politically transformative decades. Based on a comprehensive new database, the author finds that wealth-income ratios have fluctuated by large margins in the twentieth century. 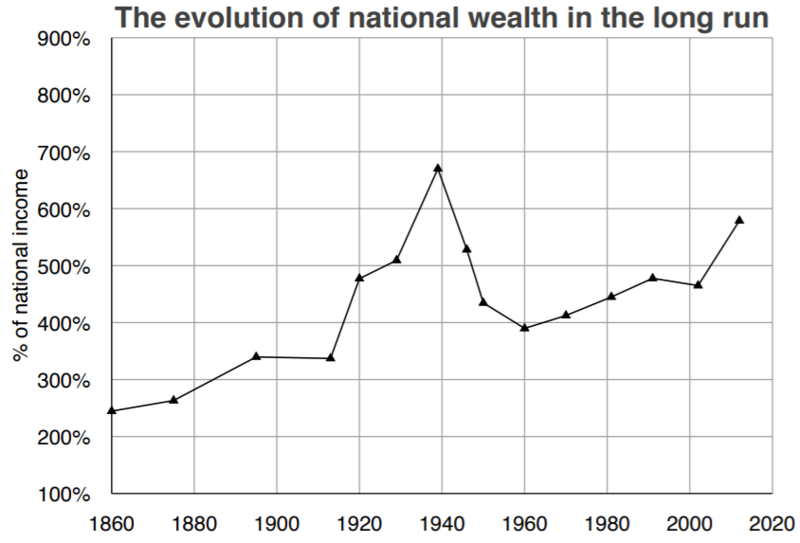 In emerging India of the twenty first century, wealth is steadily approaching the same disproportionate size (relative to national income) that was seen during sharp economic downturns in interwar colonial India. The long run 1939-2012 U shaped trajectories of wealth-income ratios are reasonably explained by a mid century asset price slowdown and the return of high land shares in national wealth. These results corroborate the secular increase of wealth-income ratios in most large economies since the 1980s. The manifestation of this phenomena appears to be independent of the stage of development.